A new helpline established to provide timely support to permanent carers has been launched by the Andrews Labor Government today. More Victorian children are benefitting from attending a kindergarten program in the year before school, according to new data released by the Andrews Labor Government. Drivers are being urged to slow down and be extra vigilant as kids ride to school this Friday 4 March, with National Ride to School Day seeing huge numbers of students cycling, walking, skating or scooting to school across Victoria. Distinguished lawyer and advocate Liana Buchanan has been appointed as Victoria’s new Principal Commissioner for Children and Young People. As around 74,000 excited Victorian children gear up for kinder, the Andrews Labor Government is urging families to make sure their children’s vaccinations are up to date. It’s the little things that count – like a trip to the footy or sharing a meal at the table – that are the focus of a new campaign to attract the next generation of foster carers in Victoria. The Andrews Labor Government and Kidsafe are working together to increase parents’ and carers’ awareness of the dangers of leaving children in parked cars with the No Exceptions, No Excuses campaign. The Andrews Labor Government is updating Victoria’s adoption laws, with a review of the 30 year-old Adoption Act to be undertaken by the Victorian Law Reform Commission. The Andrews Labor Government is boosting the general carer allowance and making the system simpler for Victorians caring for our most vulnerable children. 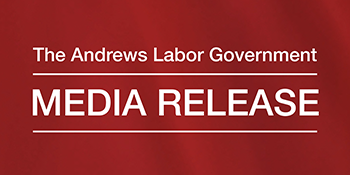 The Andrews Labor Government is getting on with delivering early intervention and support services to help more vulnerable Victorian families and children, with the allocation of $36.7 million over four years. The Andrews Labor Government is introducing new learning resources to help young Victorian children with additional needs reach their full learning potential. Victorians are being urged to be vigilant with young children around water this summer after a new report revealed those aged 0-4 continue to be at risk of drowning or close calls. Minister for Families and Children Jenny Mikakos has today welcomed early childhood teachers as registered teaching professionals, boosting the value and benefit Victorian families will get from early years learning services. Minister for Families and Children, Jenny Mikakos, today thanked early learning organisations, local government and parents after the Abbott Government offered funding for 15 hours of kindergarten for Victorian four year olds.